As a business leader, you want your company to run smoothly, professionally and reliably. probably with a much lower cost than you’re currently paying! 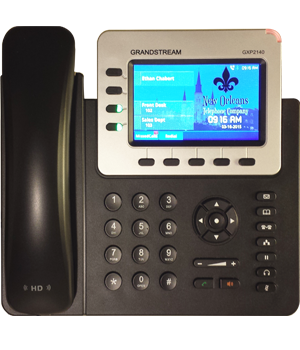 As the premier business telephone service in the Greater New Orleans area, we will seamlessly integrate your business with our sophisticated VoIP technology, thus increasing your business efficiency, accessibility and flexibility of your communications while reducing your overall cost. Why should you switch to VoIP technology as your business telephone line with New Orleans Telephone Company? To add all of these features to your business telephone system, while reducing your overall cost, seems like an obvious solution. Call (504) 475-7025 today or click here to request a Free Demo!